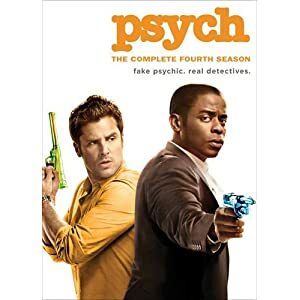 Its fourth season shows Psych in full stride—the writers and actors comfortable enough to put the characters in any situation, comedic or dramatic. The season also boasts an impressive rooster of guest stars including Cary Elwes, James Brolin, and Rachael Leigh Cook along with 1980s-90s icons Jaleel White, Thomas F. Wilson, Judd Nelson, and Ally Sheedy. Season 4’s major story arcs are fake psychic Shawn Spencer’s relationship with high school sweetheart Abigail Lytar (Cook) and his as-yet-unexpressed feelings for Det. Juliet O’Hara (Lawson), balancing the show’s hilarity with reality. Like previous Psych DVD sets, this one is packed with extras. In addition to a gag reel, “Psych-Outs”, and montages, each of the sixteen episodes features audio commentary, video commentary, or deleted scenes.